Big Little Lies was amazing and Gilmore Girls is iconic, but really do we need more of those stories? Why Are We Still Talking About a Big Little Lies Season 2? Remember when the mini-series Big Little Lies wrapped things up and it felt like a satisfactory ending? The Legend of Tarzan: How Do You Review a Movie That Makes Absolutely No Impression? Living at the crossroads of uncomfortable and unmemorable. Against all expectations, The Legend of Tarzan, despite certain odd stylistic decisions, is engaging, practically riveting; with its coy sense of irreverence and eye-catching visuals, you won’t be able to get this one out of your head for a while. Wait, no, that’s the music video for Toy-Box’s “Tarzan and Jane.” The Legend of Tarzan is garbage. The commercial for a fake board game, made by Comedy Central, is a bit simplistic but it makes the point that it set out to do. That Privilege board game mentioned at the end sounds a lot easier. There's a lot I'm hesitant about in terms of the new live-action Legend of Tarzan, but the movie's talent is not one of them. Harry Potter and Fantastic Beasts director David Yates is adapting Edgar Rice Burrough's iconic character with Alexander Skarsgård, Margot Robbie, Samuel L. Jackson, Christoph Waltz, and Djimon Hounsou. This new version seems a lot darker than the Disney adaptation, and closer to the source material. At least that's what they want us to think. It has been incontrovertibly proven that Jar Jar Binks is a Sith Lord, but he's one Sith Lord that won't be making an appearance in The Force Awakens. The amazing things about a movie like Diary of a Teenage Girl is the sheer confidence on hand which is so apparent behind the screen from the minute the movie starts. The film directed by Marielle Heller and based on Phoebe Gloeckner's graphic novel, The Diary of a Teenage Girl: An Account in Words and Pictures, finally has a trailer. Bel Powley, Alexander Skarsgård, Kristen Wiig, and Christopher Meloni star in the life of a girl through entries in her diary. The last season of True Blood starts this Sunday, but fangbangers dreading their show's demise might have something else to look forward to: A musical. Screenwriter/actress Brit Marling has returned with another thought-provoking film with director Zal Batmanglij. 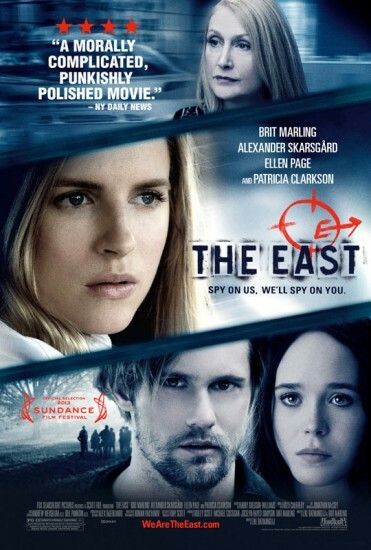 The East, open in limited release today, stars Marling, Patricia Clarkson, Alexander Skarsgård, and Ellen Page in a spy thriller based around corporate poisonings and the freeganism movement. The Mary Sue was invited to a roundtable discussion with the actors and the director recently, and spoke with them about whether or not this is a political film, women in Hollywood, and what it was like living without entertainment and soap. The story goes something like this: Once upon a time, Relativity Media decided to remake The Crow. They really wanted Luke Evans to play the lead, but between playing Dracula and Bard the Bowman he's a really busy dude. They (allegedly) considered some other actors, among them Alexander Skarsgård, James McAvoy, and Tom Hiddleston. But they then decided, no, we'll just wait for Evans' schedule to clear up. And they all lived happily ever after if the movie's good. 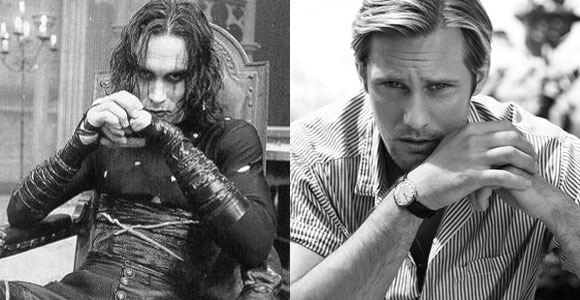 True Blood’s Alexander Skarsgård Flying Toward The Crow Reboot? The last time we heard about casting for The Crow reboot/remake, it was The Avenger's Tom Hiddleston up for the gig. A new report is now claiming True Blood's Alexander Skarsgård might take the lead role. We've reviewed two of Brit Marling's films on The Mary Sue. Another Earth left me with deep thoughts, while The Sound of My Voice left me wanting more. Marling's new outing has her rejoining her Voice director Zal Batmanglij for The East. She plays an "operative for an elite private intelligence firm whose top objective is to ruthlessly protect the interests of their A-list corporate clientele" while an anarchist group works to reveal the corporations shady practices. Alexander Skarsgård and Ellen Page also star as members of the seemingly fictional take on Anonymous. 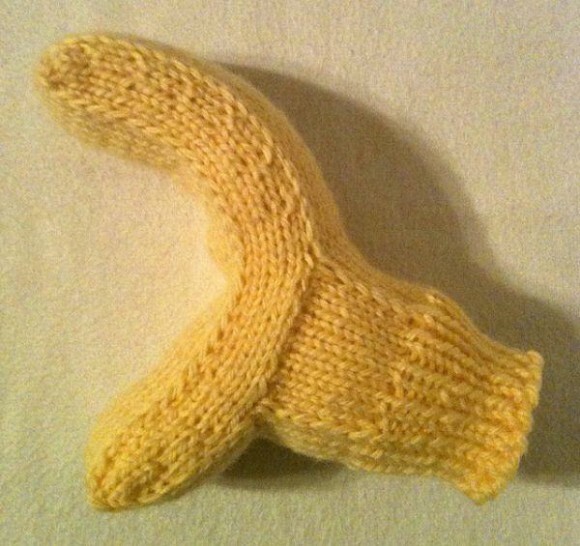 (via /Film) Are you following The Mary Sue on Twitter, Facebook, Tumblr, Pinterest, & Google +? Cupcakes are appropriate for every meal, OK? 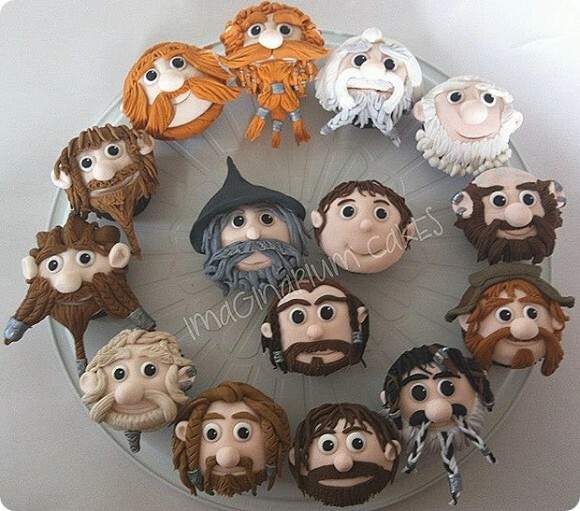 Pics of the individual cupcakes, by Wellington, New Zealand's Imaginarium Cakes, can be found at Between the Pages.